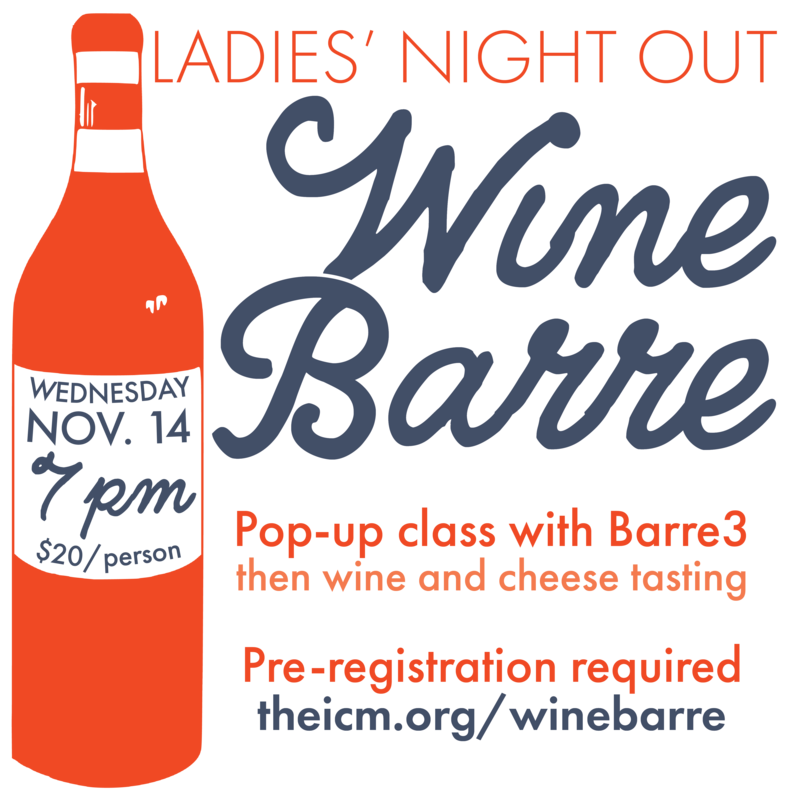 What: Join us for an hour-long pop-up class with Barre3, followed by wine and cheese tasting. Bring a yoga mat and water—and wear clothing you can move and sweat it! Space is limited and pre-registration is required. Note: Member discount does not apply to fundraisers. Please disregard membership discount code at checkout. This event is hosted by The Iowa Children’s Museum Volunteer Guild. All proceeds benefit The Iowa Children’s Museum. Questions? Contact Carri at ckoch@theicm.org. Barre3 is a full-body balanced workout combining strength-conditioning, cardio, and mindfulness. The transformative power of our workout is more than just physical. Barre3 isn’t just about the hour you spend strengthening and balancing your body; it’s about the empowerment you carry with you the other 23 hours of the day.